This article sees Emma Heathcote-James, founder of Little Soap Company explain the journey behind her company, from traditions passed down from her Grandmother to being stocked on supermarket shelves across the nation. Emma Heathcote-James left the city in 2001 to start a new life in the Cotswold countryside where she’d made her home the past 7 years, but working in broadcast meant a lot of time was spent living on the road rather than nestling in her little Cotswold stone cottage, as had been the original plan! She wanted a hobby. Something to root her a bit more at home and an excuse to get to know the local farm shops and tearooms. Little did she know that a chance encounter at the village fete in 2008 would be a catalyst which led to her accidentally founding Little Soap Company. Emma’s family grew up using soap her Granny had collected on her travels over the years. It wasn’t anything that was really discussed, just the family norm: pure, natural soap, free from any chemicals. Proper pure soap that doesn’t make your skin tight and lasts for ages in the dish. Granny had stashes of the stuff in her house, mainly bought from French markets. It was only a few years after Granny died and the stash had dwindled that she realised nothing like it was available over here in the Supermarkets. In desperation to find a bar akin to what she was used to, she picked up a bar of handmade soap at the fete that was being sold from a horse bucket. It was like nothing she’d ever used before. Synthetic free, chemical free, just good organic bar soap. She taught herself how to make it and the rest, as they say, is history…. The Little Soap Company’s roller coaster journey includes accolades of being the first company in its first year of trading to be taken on by Waitrose. 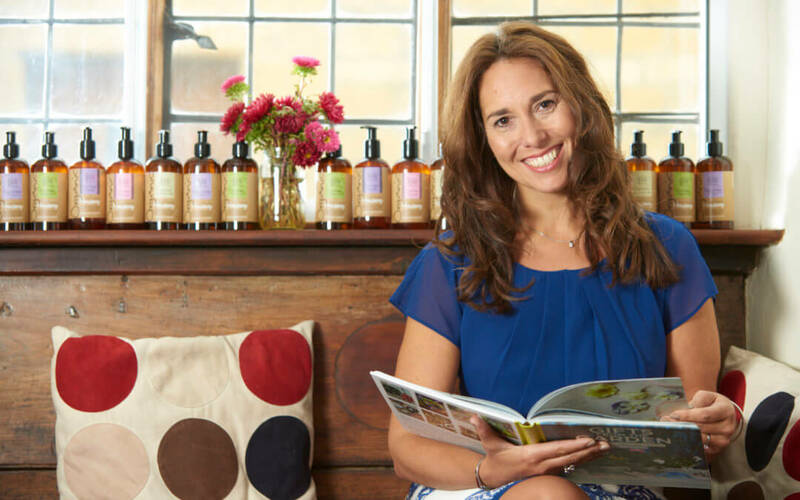 In 2012, with a regional contract from Tesco under her belt to create their first organic soap brand, she upscaled. Making in a factory meant there was suddenly no cap on production – the hobby business went from hand-making 350 bars of soap a day to taking on a factory to produce 40,000. The volume in turn brought the price down. For the first time customers were able to buy organic soap, at an affordable price, as part of their regular weekly shop. ‘To me, the skin care market is so akin to the food industry – less ingredients is more. Just as Jamie Oliver proved you only need a handful of ingredients to make a healthy lasagna the same is true with soap. We are awash with chemicals in our day to day lives and more and more people are choosing to move away from this. As more people are developing allergies and intolerances, never has the need for pure synthetic-free soap been more relevant.